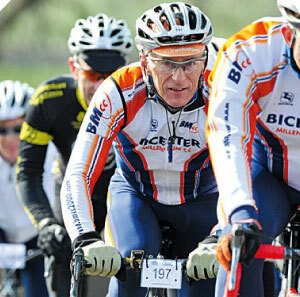 One of three sportives run by Just Racing UK, the Quattro is first on the calendar. It gets its name from a route which takes in four counties on the longest of three course choices. 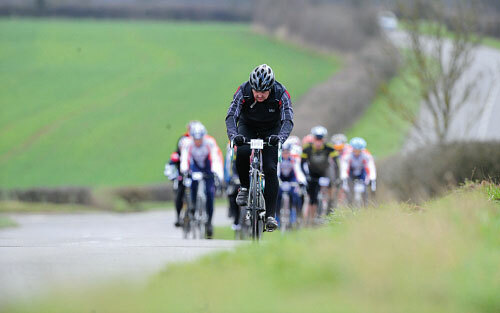 The 82-mile loop traversed Northants, Buckinghamshire, Bedfordshire and Cambridgeshire, avoiding any steep hills. Many of the 298 riders entered thinking it was a relatively flat course and anticipated fast times and an easy day. Mother Nature had other ideas and provided a headwind that blew all the way round the course. Whiston Hill caught a few flat-loving riders off guard as it topped out at eight per cent. 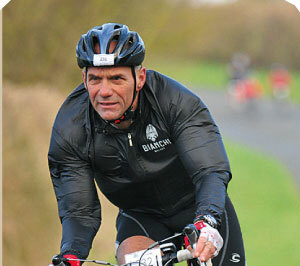 With many riders setting off together and working in groups, the first 30 miles flew by. The going was pretty easy and reaching the first feed station didn’t present too much of a challenge. Grabbing an extra piece of malt loaf, sausage roll, or the cyclist’s staple – a banana – meant leaving the feed in ones and twos, just when the wind decided to attack. It was gear changing all the way from here on, with constant little ups and downs conspiring with the wind to punish the legs. As the knots got up it made the long straights the same grind as an uphill battle. Even though the course turned corners, the wind was always prevalent and blowing in the face. ‘Well organised’ was the phrase that rung through the air, as people registered and received a good set of directions. Five hours later, they came out of back pockets in a sweaty wad, as they was not needed due to top-class signage. Getting out of sweaty kit into the event T-shirt was great, along with the Easter Sunday hot cross buns.